Over the last six months or so, my daughter, Matilda, has not really been interested in running at junior parkrun. 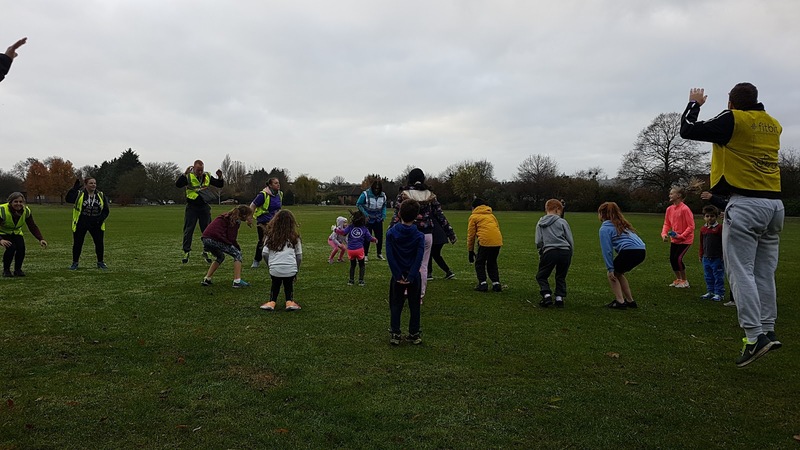 However, when I suggested we could pop over to Central Park for Dartford Junior parkrun's 24th event, she said that she quite fancied it. So we made a plan to take part in the parkrun and then go to the pub for a father-daughter breakfast. After what felt like an age of faffing around, we finally got out of the house 21 minutes before the run was due to start. Arriving at the start just a minute before the warm-up was due to start, we got changed out of our coats and Matilda went over to get loosened up while I sorted out our bag. A few minutes later we were at the start line and ready to go. As soon as we started, Matilda decided that we should play Formula 1, so we picked Red Bull as our team and got to work on our first lap. We had a few slower moments where a rest was required, but by large we kept moving at one speed or another. High-fives were being handed out left, right and centre by the fantastic course marshals. By the time we reached lap 2, we decided to bring on some F1 themed pit-stops. So every couple of hundred metres one of us would pull into the pits and the other would change the wheels and then release us back onto the track. I had no idea how much time we had taken to go around the course because I had forgotten to take my stopwatch. We soon reached the final straight and Matilda took the chequered flag while I peeled off onto the grass next to the finish funnel (adults are not allowed in the finish funnel). 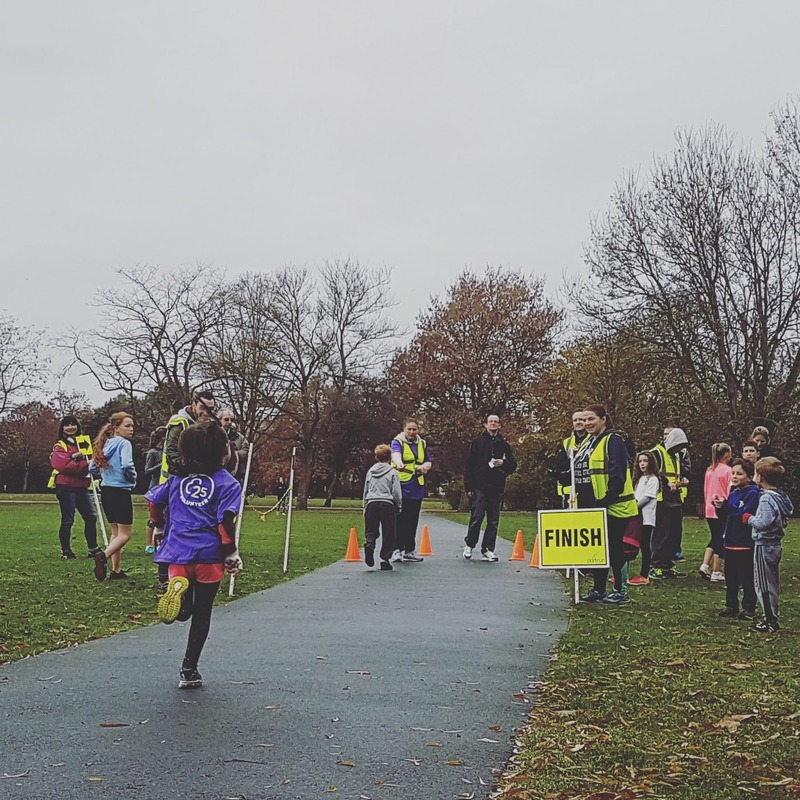 It turns out that Matilda [parkrun profile] had managed to knock three seconds off her all-time junior parkrun personal best. Her new PB stands at 15.18, which of course, she's not overly fussed about because, well, she's six years old and was more interested in playing with the other children. 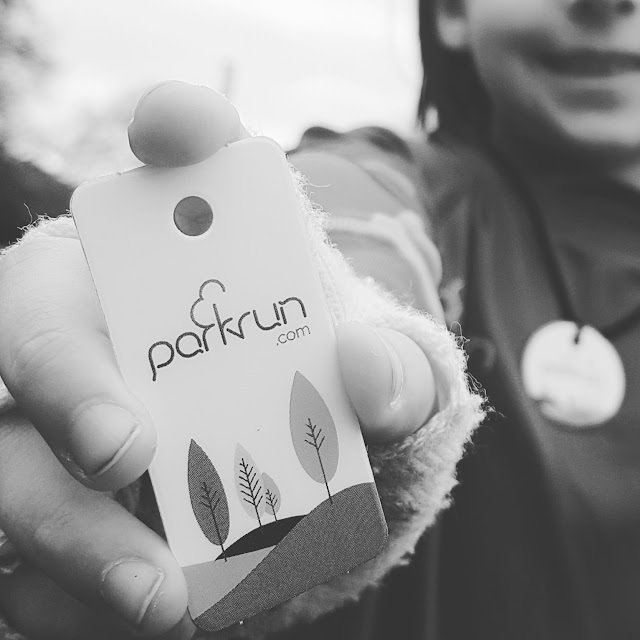 I, on the other hand, was very excited about her new PB, especially as it had been six months since she last took part in a junior parkrun. We continued our morning, as planned, with a visit to the pub for some jam on toast and a drink before heading back home to watch the final race of the Formula 1 season.